There’s been a noticeable shift in conversations I’ve had with entrepreneurs lately that have gone from e-commerce and side hustles to investing in Bitcoin and other cryptocurrencies. While there’s a wide consensus that blockchain (the technology behind Bitcoin) is the future of money and finance, there’s far less discussion – or let’s say, admission, that the current state of Crypto is a bubble. What’s amazing is that so many of our friends and colleagues who have made hundreds of thousands and even millions in FBA are now taking their focus off that growth and putting their money into cryptocurrencies instead of doubling down on e-commerce with AMZ. A lot of successful sellers have told me that they’ve shifted their focus to cryptocurrency because it’s harder to make money from Amazon as the competition grows. Now, obviously – my response is “Why don’t you expand into FBA Europe?” but of course I’m a bit biased (Learn more about getting into FBA Europe HERE). Regardless of this, if one looks at the history of economic bubbles, there’s a clear and consistent pattern that emerges. Bubbles burst and people lose a LOT of money. While I don’t think exploring cryptocurrency is a bad shift at all (I’ve even begun to do this myself), I certainly wouldn’t recommend any seller let their FBA plans drop off in favor of what is essentially a new form of online gambling. 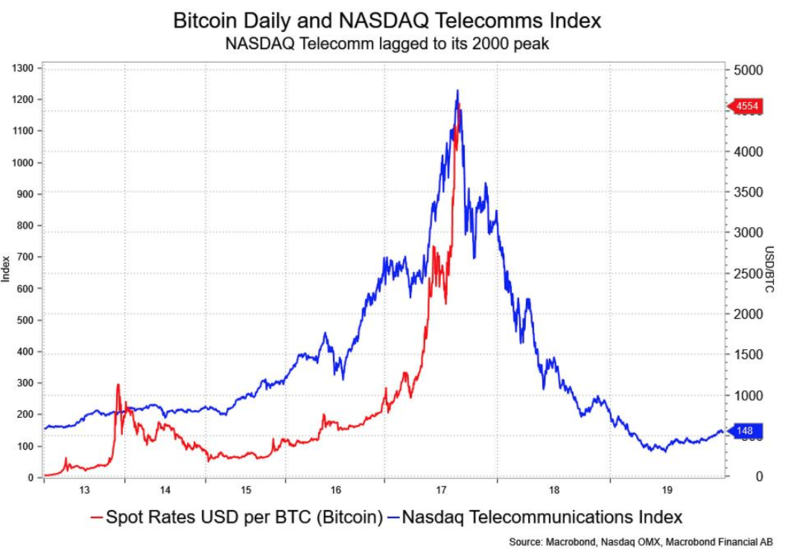 Bubbles are very enticing because they involve massive growth and the volatility is exciting. What’s important to remember is that ultimately, most if not all of the prices will fall dramatically and often faster than the rise. If a coin grows 400% in a month and you buy half way into that rise, the value could easily drop that 400% or even more in a day. This is especially true for those people who who get in later in the game (which is where we are now). At some point this money is easy come, easy go and should be looked at more as speculation. I am old enough to have seen the .com bubble in the late 90s and early 2000s. In that time, almost every tech stock saw amazing growth. I had my own portfolio go up 6x in a matter of two years. That said, as with any bubble, when it bursts it bursts. At the end of that great run I was left with 25% of my initial investment. Any good broker will tell you that you can’t time the markets. This is proven by the S&P beating most (if not every) fund or guru over time. Most, if not all, mutual funds cannot reliably beat index funds that just follow the market. You should note that the large majority of the companies I had invested in the late 90s were on the forefront of technology ended up being worth pennies on the dollar. They were all ‘at the forefront of technology’ related to a world of in connecting living (think smart home). Even though all these companies held patents that would define the modern home, no one knew that future would end up taking 15 years to come to fruition. Almost all of the stocks that i invested in were eventually eaten by bigger companies who bought the technology for a fraction of the value I bought into. I should have been smart and just invested in an index fund, and I would have received all the gains I wanted. I don’t tell the story to say that the blockchain and crypto future is 15 year away necessarily, but as a cautionary tale to succesful entrepreneurs who I see leaving great business opportunities on the table for a what is, at this stage, gambling. I would like you all to reconsider moving your profits from FBA to cryto and back into more established side hustles. We often talk about the amazing opportunity of getting in on Amazon’s growth in Europe or Amazon’s other frontiers markets because they show the massive growth potential Amazon sellers found on FBA 5 years ago being relived right now. 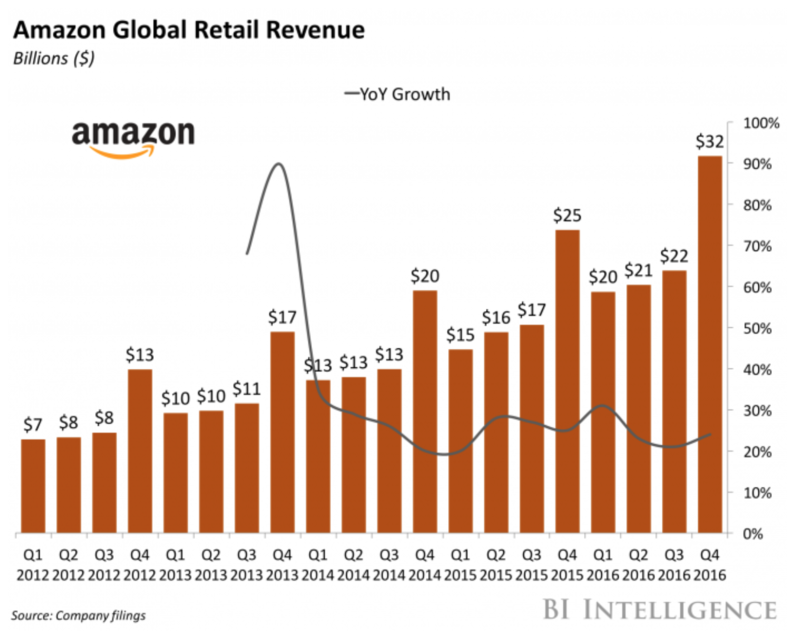 You don’t need to be an economist to see that Amazon’s growth will continue. You can read about it here, but really, you could make your next move anywhere. I just recommend you put your chips into a business rather than gambling too much of it away on crypto. If you really want to do that, you’ll be better off going to Vegas as at least you’ll get some free drinks and show tickets when your luck finally runs out. If you’d like to know more about what kind of opportunities lie in Amazon’s European marketplace, sign up for your free course on how it all works here. Get your FREE 5 Lesson Course on how to successfully launch a Private Label FBA Business in Europe. Disclaimer: FBA Frontiers is not affiliated with Amazon or its subsidiaries. Get Your Free 5 Lesson Course! Enroll in our FREE Mini-Course to help FBA Sellers launch successfully on Amazon Europe.